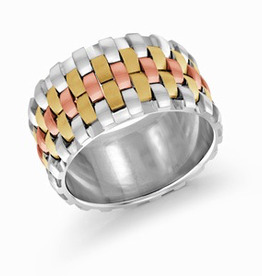 THIS ITEM IS A SPECIAL ORDER. 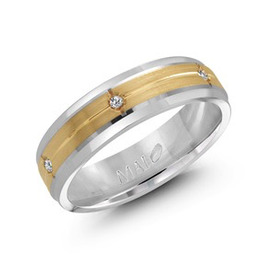 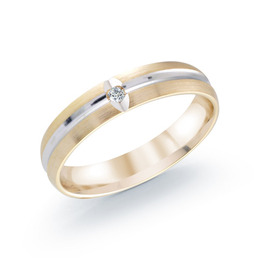 10K white and yellow gold satin finish band with a 0.02ct diamond set on a white leaf bed. 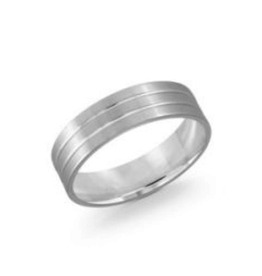 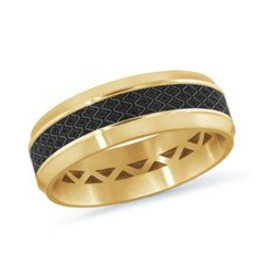 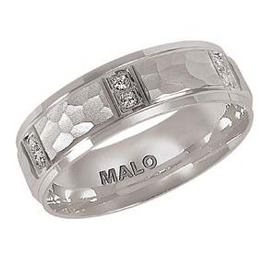 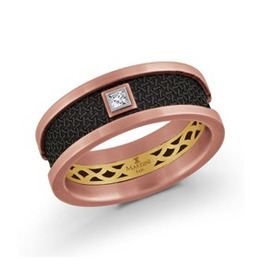 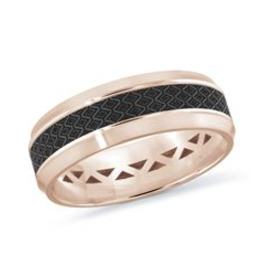 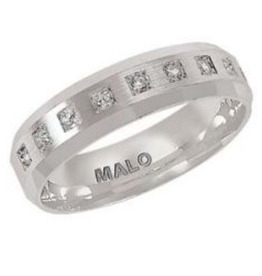 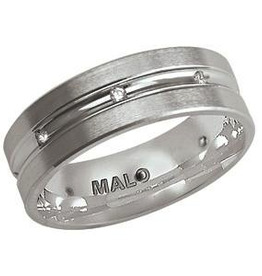 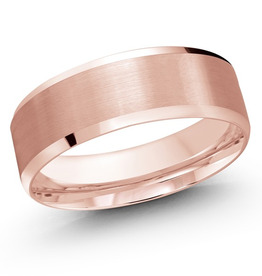 This bold and stylish textured wedding band with diagonal line details is crafted to celebrate your happiness.